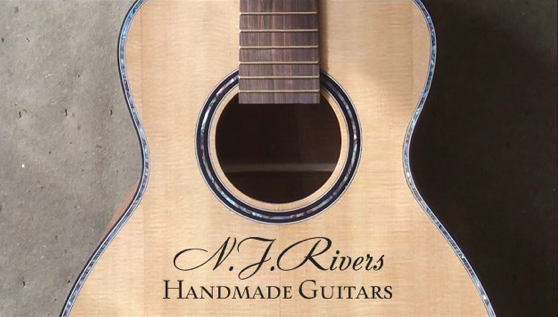 Noah Joseph Rivers has been building handmade acoustic instruments since 2014. With a background in Precision Machining and Fine Woodworking, Noah creates instruments of a new caliber. The knowledge and skill he has learned in guitar making was made possible through his mentor Tom Thiel. Tom has been known for his work with Dulcimers and Hifi Speakers throughout the years. The two put there heads together to create some of the finest instruments they can offer. The designs used on the guitars are shapes originally done by Tom Thiel and bracing patterns arranged by Noah. The guitars produce a well balanced tone and feature an individual saddle system that increases the harmonic structure.